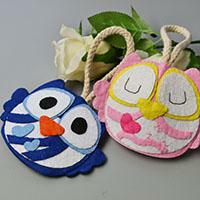 Do you want to dress up your home keys with these cute owl key covers? Now, follow this step by step tutorial to learn how to make them. Hey, guys. Do you need any lovely Valentine’s Day gifts? 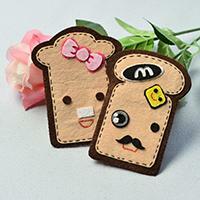 How about following me to make easy felt couple card holders? You cannot miss this Pandahall project if you are looking for the creative Valentine’s Day gifts. 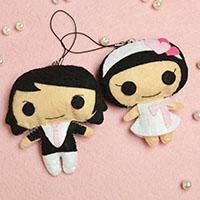 Hoping you will like the lovely felt couple pendants. 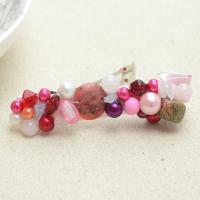 As the Valentines’ Day is approaching, do you wanna make a heart linked bracelet? 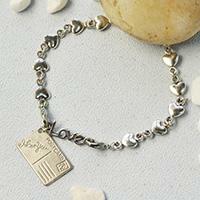 Here I will show to you to make link bracelets with postcard charm. Wanna make handmade bracelets for lovers? 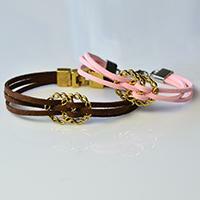 You can try the following pink and brown suede cord bracelets for lovers. 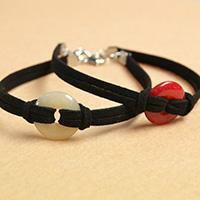 Follow me to see how to make the suede cord bracelets. This tutorial will show you a couple of peace buckle bracelets for lovers; you can make the 2 surd cord bracelets and send one to your love. Need any new idea for Valentine’s Day gift? 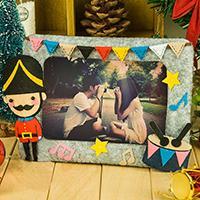 Then you can check this Pandahall tutorial on how to make lovely easy felt photo frame. Hoping you will have a nice try! Wanna try handmade rose? 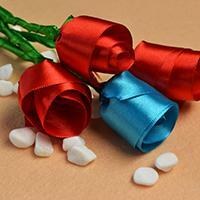 If yes, today’s Pandahall tutorial on how to make simple red ribbon rose at home will be a nice choice for you! Do you love leather bracelet? Today's DIY project is about making a pink leather bracelet with glass beaded ball ornaments for girls. Hope you enjoy it! 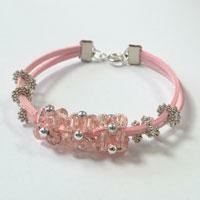 Are you interested in beading bracelets? If yes, I think you must be attracted by today’s Pandahall tutorial on how to make girl’s beading bracelets with pearl and seed beads! Wanna learn how to make handmade paper cards for the coming Valentine's Day? 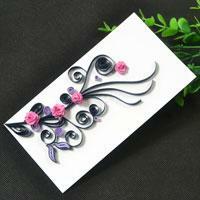 In this Pandahall tutorial, you can learn how to make a handmade quilling paper rose card. 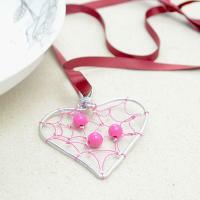 Valentine’s Day is approaching, if you are planning to make Valentine’s Day quilling cards, I must say how lucky you are! 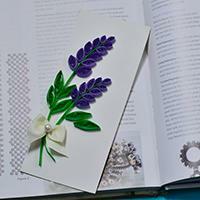 You will learn some techniques on how to make quilling cards. Have you got some good ideas in your mind for the approaching Valentine’s Day bunnies? If not, I will show you a Pandahall tutorial about how to make a keychain for your boyfriend. In this easy earring tutorial, you will get the idea about how to make free wire heart earrings with copper jewelry wire in ten minutes. The gold color makes you shining and fashionable in the crowd. Here’s an easy tutorial about how to make beaded bobby pin with understandable phrases and clear pictures. You can make fancy Valentine’s Day gifts for her. 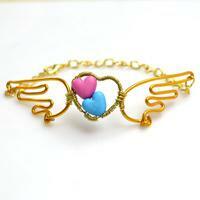 Today I would like to demonstrate you a tutorial on making angel wings bracelet with acrylic beads and wires. Hope you have fun here! Wanna design a meaningful but affordable Valentine’s Day gift? 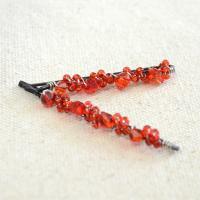 Read this tutorial, you will learn how to make an easy valentine hair barrettes. 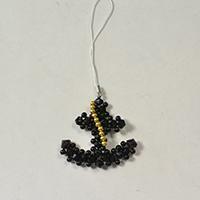 Love suncatchers? 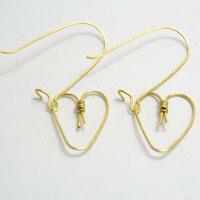 What about making a heart suncatcher pendant necklace for your lover? Read the following tutorial and have a nice try! 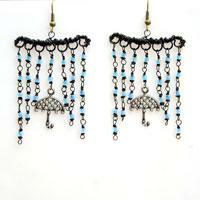 Learn to make pair of seed bead fringe earrings and a way to add some fun for a personalized "Be Your Umbrella" accessory! That may be great gifts for friends or beloved ones!